Limitations: If you run Windows 10 Pro or Enterprise, Windows 8.1 Pro or Enterprise, Windows 7 Professional, Windows 7 Ultimate or Windows 7 Enterprise, you can accept Remote Desktop Connections. In this tutorial, you’ll learn how to enable Remote Desktop Connections on your Windows-based computer so that it can be controlled remotely. 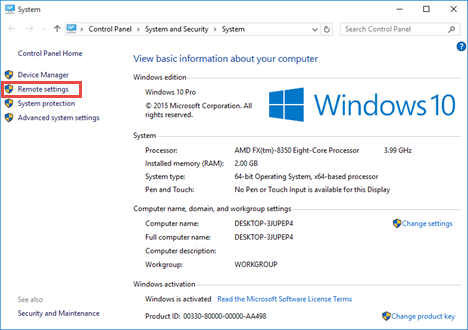 How To Find The Remote Desktop Connection Settings In Windows 7, Windows 8.1 and in Windows 10 there are many ways to access your Remote Desktop settings, but there’s one method that works the same in all three operating systems: open the Control Panel and go to System and Security -> System. In the System window, in the column on the left side, click or tap the link called Remote settings. You can also use search. 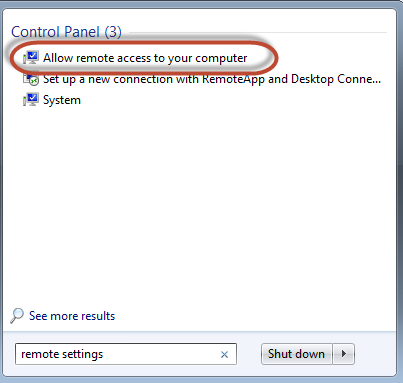 In Windows 7, use the Start Menu to search for remote settings and click the search result that says “Allow remote access to your computer”. 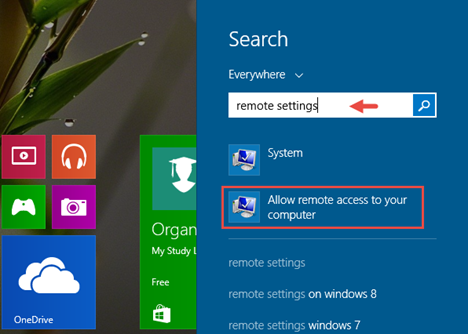 In Windows 8.1, switch to the Start screen and start writing remote settings. Then, click or tap on the search result that says “Allow remote access to your computer”. If you’re using Windows 10, you can look for remote settings from Cortana’s search box from the taskbar. Regardless of the operating system you use and the method you chose to follow, the System Properties window is now opened, at the Remote tab. 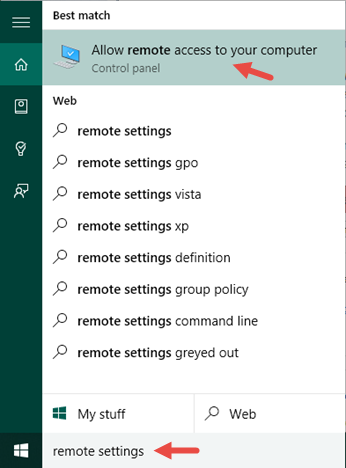 Here, you’ll find two sections: Remote Assistance and Remote Desktop. Above you can see the System Properties window as it looks in Windows 10. The Windows 8.1 version is pretty much the same. While in Windows 7 the options are the same, they are a bit differently organized and named, as you can see in the next screenshot. 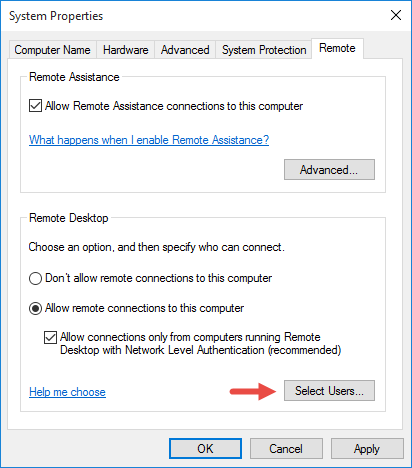 “Don’t allow remote connections to this computer” – This option will prevent users from connecting to your computer using Remote Desktop Connection or RemoteApp. RemoteApp connections are connections where the client only connects to a single application. 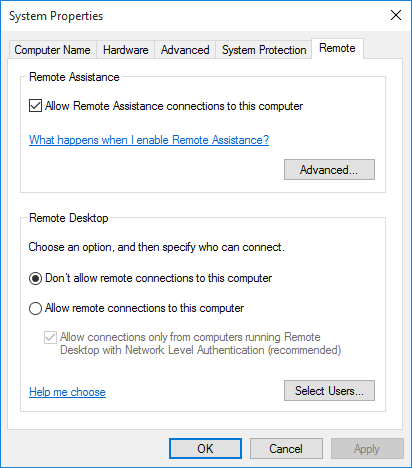 “Allow remote connections to this computer” (Windows 10 and Windows 8.1) or “Allow connections from computers running any version of Remote Desktop” (in Windows 7) – This will allow users running any version of RemoteApp or Remote Desktop Connection to connect to your computer. Use this if you’re not sure which version of Remote Desktop the client will be using, or if they are using a third-party Remote Desktop Connection application. For example, Ubuntu clients will likely require the second option. 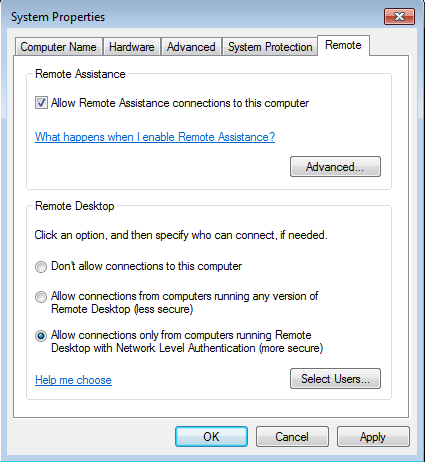 “Allow connections only from computers running Remote Desktop with Network Level Authentication” – This restricts Remote Desktop Connections to those running versions of Remote Desktop that have Network Level Authentication. Network Level Authentication was introduced in Remote Desktop Client 6.0. If the client computer is running Windows 10, Windows 8.1, Windows 7, or they’ve recently downloaded the Remote Desktop Connection client, use this option, as it’s more secure. 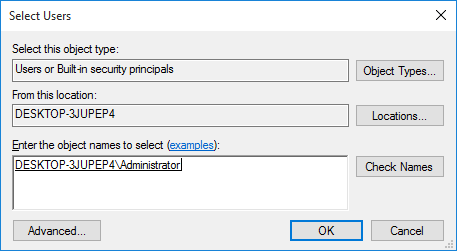 At this point, you can click or tap OK and clients will be able to log in to your computer via Remote Desktop Connection using the login credentials for administrator level users. However, you probably won’t want to give out your administrator credentials to others. 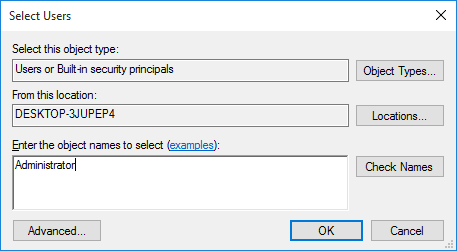 So, it’s a good idea to set up a separate standard level user account for Remote Desktop Connections. 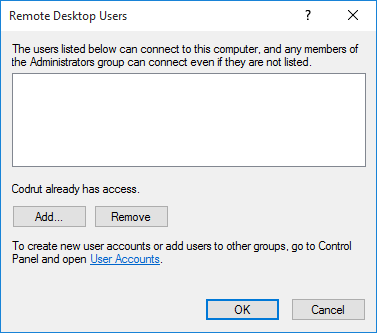 If you want to give the permission to other user accounts to connect via Remote Desktop Connections, click or tap Select Users. This opens the Remote Desktop Users window. To add the users to whom you want to give permissions, click or tap Add. In the Select Users window, type the user account name in the box in the next window and click or tap Check Names. Windows will make sure that a user account with that name exists and add the location in front of it, if you are using a local account, or complete the email address if you are using a Microsoft account. When you’re done, click or tap OK.
Now, the user you added will be able to connect via Remote Desktop Connection to your computer with his/her login credentials.